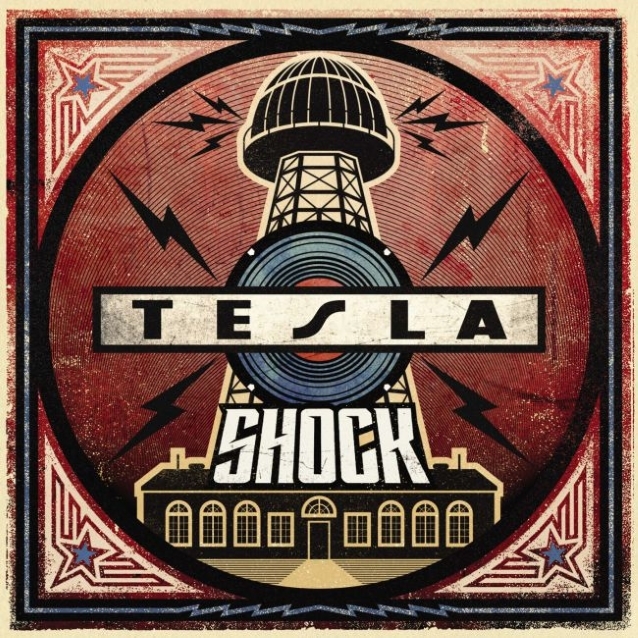 Sacramento, California rockers TESLA will release their eighth studio album, Shock, on March 8 via UMC. Produced and co-written by DEF LEPPARD guitarist Phil Collen, the follow-up to June 2014’s Simplicity is available on CD, digital, black vinyl, and limited-edition translucent blue vinyl formats. Fans who pre-order the album will receive the album title track is an instant-grat free download. That title track can be streamed below. Collen previously co-wrote and produced the TESLA song “Save That Goodness”, which was released in August 2016 and included on the Mechanical Resonance Live! album. TESLA‘s current lineup includes four of the five original members: Jeff Keith (vocals), Frank Hannon (guitars), Brian Wheat (bass) and Troy Luccketta (drums). Guitarist Dave Rude joined in 2006 as the replacement for Tommy Skeoch. Don’t miss TESLA on the Rock ‘n’ Roll trail this year on their brand new SHOCK Tour. Tickets & special VIP Soundcheck Meet & Greet packages on sale unless otherwise noted.